The term "Learning Management System" (LMS) makes an appearance quite frequently in eLearning articles, tip sheets, and beginner’s guides. As such, it’s important to get a good grasp on what a Learning Management System entails and the benefits it brings. Is a Learning Management System really worth the resources? Or will a more manual approach suffice? What are the advantages of investing in an LMS, and which features should you look for? Are there different hosting and pricing plans you need to keep in mind? This article will address all these questions and give you the insider scoop on Learning Management Systems so that you can decide whether a new LMS is right for your online training program or not. The role of a Learning Management System varies depending on the organization’s objectives, online training strategy, and desired outcomes. However, the most common use for LMS software is to deploy and track online training initiatives. Typically, assets are uploaded to the Learning Management System, which makes them easily accessible for remote learners. In some cases, the LMS may even have built-in eLearning authoring tools that allow you to develop online training materials without additional third-party software. Think of a Learning Management System as a vast repository where you can store and track information. Anyone with a login and password can access these online training resources whenever and wherever. For self-hosted Learning Management Systems, users must also have the LMS software installed on their hard drive or access to the company’s server. Whatever the installation option, the thing to bear in mind is that LMS users fall into two categories: First, online learners who use the Learning Management System to participate in online training courses; second, your eLearning team who relies on the LMS platform to disburse information and update the online training content. Learning Management Systems are beneficial for educational institutions and corporations alike. 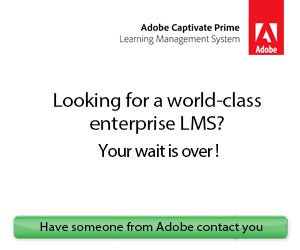 Extended enterprise online training is yet another application for Learning Management Systems. For example, companies are able to deploy online training resources to external sales channels, franchisees, and even customers. It’s vital to identify your organizational and training objectives before you start the LMS selection process, as LMS vendors typically cater to different consumer groups. Some specialize in eCommerce, while others are known for their sales online training features. For instance, the power to integrate CRM software. These LMS platforms are hosted on the cloud. The LMS vendor maintains the system and carries out any tech upgrades or updates. Online learners and collaborators login to the Learning Management System with a user name and password. There’s no need to install any software, which makes it a great option for organizations who want to get started as soon as possible. The downside is that some cloud-based Learning Management Systems cannot be customized. For example, there are fewer opportunities to incorporate branding or personalize the dashboard. Learning Management Systems that require software downloads. The LMS vendor may offer direct download from their site, or you must request physical software discs. However, the former is more common these days. Self-hosted LMS platforms allow for greater creative control and customization. The disadvantage is that you usually have to pay for updates, and the system may require IT know-how. The LMS app is installed on the desktop. Some desktop apps are even accessible on multiple devices, making it easy for your entire eLearning team to collaborate. Learning Management Systems that are accessible whenever, wherever via mobile devices. You can upload online training content so that online learners can track online training initiatives on the go. Larger organizations can use these Learning Management Systems to track hundreds or thousands of employees. Not to mention, deploy global online training initiatives. In some cases, they may even feature extended enterprise features so that you can keep franchisees and sales channels in the loop. Small and Medium-sized Businesses (SMBs) benefit from this type of Learning Management Systems as they can utilize fewer human resources. These tools also scale along with your business to adapt to your ever-changing training needs. LMS platforms designed for eLearning freelancers who work with multiple clients and need to deliver a diverse range of deliverables. These Learning Management Systems may feature built-in collaboration tools, which allow you to fly solo or work with a remote eLearning team. Open Source Learning Management Systems are generally free and based online. You’re able to modify the source code in order to suit your needs. In addition, many open source options have active online communities, which means that you can get tips and troubleshooting assistance if you do encounter a problem. The drawback is that you typically need some degree of programming experience. There are a number of free LMS options, usually open source systems. However, the money that you save on licensing or monthly fees may be spent on IT staff, especially if you don’t have any programming experience. In addition, you may have to deal with a steep learning curve to get the most from the Learning Management System. Paid Learning Management Systems require a monthly or yearly fee. Some even allow you to purchase the software outright. They typically offer more advanced support options and user-friendly features. Instead of paying per user, this LMS pricing plan involves a licensing fee. Typically, an annual fee that you must renew on a yearly basis, or an outright upfront fee that grants unlimited lifetime access. However, as technology advances you’ll probably still have to purchase replacement software in the near future. A subscription fee usually grants you access to all LMS features, or relies on a pay-per-user model. This pricing model involves a fee for each user, or active user. In some cases, the LMS vendor offers different price brackets. For example, the fee covers up to 25 active learners. This is a great solution for smaller organizations who want to minimize online training costs, but still want to be able to scale the Learning Management System as their company expands. These LMS platforms are free for basic features but a fee is charged for more advanced functionalities, such as add-ons or upgrades. For instance, a more comprehensive eLearning assessment engine or advanced reports. This set of standards helps eLearning authoring tools and eLearning content communicate with the Learning Management System. SCORM 2004 enables tools to format eLearning content in such a way that’s shareable across the board. Also known as Experience API, Tin Can spec support is often viewed as the follow-up to SCORM. It allows for external learning activities and tracking, and gives eLearning pros the ability to develop and deploy native mobile apps. Aviation Industry CBT Committee support allows the LMS and eLearning content to communicate via HAC protocols. In essence, the system relies on an HTML form to transmit the information, then the LMS relays the information back via text. Learning Tools Interoperability (LTI) was introduced by the IMS Global Learning Consortium. It specializes in apps that are hosted remotely, as well as web-based eLearning content. Learning Management Systems allow you to gather all Big Data in one location. This also makes it easier to maintain and update your learning materials. In addition, most LMSs feature advanced encryption so that you don’t have to worry about data falling into the wrong hands. Virtually all LMS platforms feature built-in reporting and analytics. Thus, you’re able to track various aspects of your online training program. If the Learning Management System lacks sufficient reporting capabilities, you can typically purchase add-ons or plug-ins to boost its functionality. You can track everything from learner engagement to eLearning assessment results. This means that you can identify patterns and trends, especially since many LMSs provide data visualizations, such as graphs and charts. There are a number of ways that LMS platforms can help you allocate online training resources more effectively. First and foremost, you can identify aspects of your online training program that aren’t meeting expectations. Low learner engagement is usually an indicator that you need to reevaluate an online training module or activity. Secondly, Learning Management Systems help your eLearning team update online training assets more rapidly. Then there’s the matter of deploying online training resources on a global scale. Thus, you have the power to keep corporate learners up to date using a single tool. You can assign different learning paths or online training resources for individual corporate learners with the help of an LMS. Therefore, everyone gets the individualized online training they need based on their learning goals, job duties, and various other criteria. There’s even the option to unlock the navigation so that corporate learners can choose their own online training activities and coursework. All this translates into more effective online training experiences and increased learner satisfaction. Not to mention, improved memory retention and engagement. Modern learners expect online training resources on demand. After all, we live in the digital age, where information is always at our fingertips, thanks to smartphones and wearable tech. Learning Management Systems allow you to deploy and track online training courses without geographical limitations. So long as they can login to the system, corporate learners have the opportunity to expand their knowledge and hone skills. You must be able to monitor your online training initiatives to determine if they are on target or require minor adjustments. The same rule also applies to individual learner performance. Are corporate learners engaging with the online training content? Is it giving them all the information they need to achieve their learning objectives? These are questions that can be answered with a robust reporting system built into your new LMS. Learning Management Systems also feature analytics that allow you to monitor online training on individual and group level. For example, determine whether a certain percentage of your audience has completed the online training course requirements or not, or how long they take to complete each online training activity on average. Most will even deliver the analytics right to your inbox via automated email reports. Multiplatform-friendly online training resources give everyone the chance to benefit from your online training course. Even those who prefer to use their smartphones or tablets to access the learning materials. Thus, your LMS should be responsive, enabling you to create a master layout that features distinct breakpoints. The Learning Management System automatically displays the most suitable version of the online training course based on the user’s device. For example, shrinks images down to size so that they don’t occupy the entire smartphone screen. Ideally, you should be able to preview each version and make necessary modifications before launch. It’s also wise to look for a tool that allows corporate learners to download the learning materials and view them offline. Especially when Internet accessibility isn’t an option. Feature-rich systems aren’t of much use if your eLearning team is unable to use the user interface and navigate the LMS platform. The same goes for your corporate learners. Does the tool make it easy for them to access the coursework, or does it present its own set of challenges? The LMS you choose should have an intuitive user interface that aligns with your eLearning team’s skill sets and abilities. For this reason, it’s essential to get their input before deciding on a platform. In addition, take advantage of free trials and demos to ensure it’s user-friendly. LMS vendors offer different support services. As such, you need to determine the level of assistance you need based on your eLearning team’s experience level and the complexity of the tool. For example, novice eLearning teams might need more extensive support in order to utilize the system effectively. 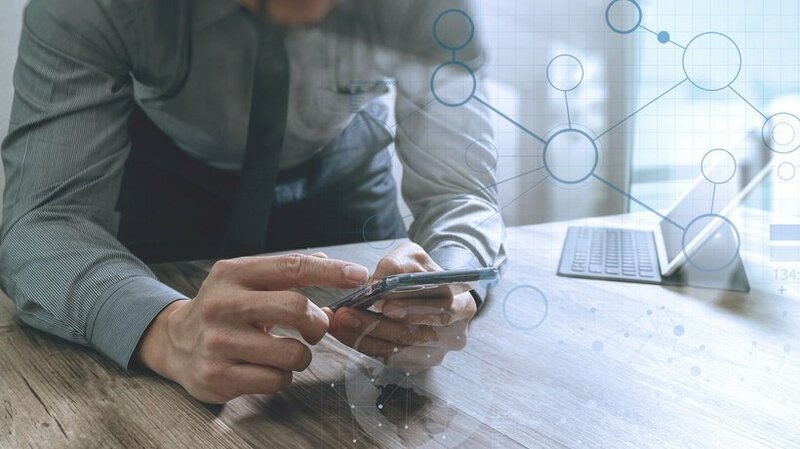 Many LMS vendors also host online discussions that allow you to connect with other users, in addition to online training tutorials, guides, and tip sheets. You may be able to pay for additional support services if you require more advanced options, such as a toll-free number that gives you direct access to a trained tech. You need to assess your corporate learners periodically to identify gaps and intervene when necessary. Therefore, the LMS must be able to support a broad range of eLearning assessment methods. Many even offer built-in eLearning assessment tools, such as eLearning templates. Lastly, there must be LMS reports dedicated to eLearning assessment tracking. Some employees require extra incentive to actively engage in your online training course. Game mechanics give them the motivation they need in the form of badges, points, and leaderboards. The key is finding an LMS that has built-in gamification features so that you can easily incorporate these rewards. This is an essential feature for organizations who provide company policy and compliance online training, as well as those who require more advanced certification features, such as the ability to track individual skill and performance gaps. You can also refer to the LMS records in the event of an audit, which helps prevent violations and fines. Social learning gives corporate learners the chance to interact with peers and share their experiences. Many Learning Management Systems now feature integrated social media tools. For example, the ability to track online discussion participation, or incorporate a news feed into your eLearning course design. Multilingual support is crucial for organizations who plan to deliver worldwide online training resources. Every member of your team should have the same opportunity to develop their professional skills. Some LMSs even feature geolocation features that automatically display the appropriate version of the online training course. These are just the basic LMS components and considerations. Keep in mind that there is no one-size-fits-all LMS. Every organization has unique training needs and budgetary constraints. Thus, you need to do your homework to find the LMS that meets your requirements and benefits both your corporate learners and bottom line. Are you interested in learning more about LMS pricing plans? Read the article The Insider's Guide To Learning Management Systems' Pricing Models to explore the most common Learning Management System pricing models to consider, from perpetual licensing to pay-per-use. This way you can determine which option is best for your budget and training needs. Also, don’t forget to check out our free LMS directory, which allows you to filter your search results based on deployment, customer type, licensing, and pricing models.